More than 50 years ago, Klaus Hammes dedicated himself to providing everyone with the opportunity to control their environment. As an innovator and passionate advocate of clean air, Klaus founded IQAir in 1963 with his brother Manfred, taking the first step in pioneering what is now the air purification industry. In honor of the 75th birthday of its visionary co-founder Klaus Hammes, IQAir (www.iqair.com) is proud to introduce its new Klaus Series™ Limited Edition room air purifier. Inside the Klaus Series is the technology of IQAir’s award winning, #1 rated HealthPro® Plus air purifier, housed in a handcrafted and luxurious wood cabinet, carefully constructed by renowned master artisan Jim Ipekjian. The made-to-order Klaus Series Limited Edition features a pistachio burl finish and will retail for $2,500. 100% of net proceeds will be donated to IQAir’s Clean Air for Kids initiative. The Klaus Series is designed for those who demand pure, medical-grade air but also want an air purifier with beauty and elegance. The Klaus Series complements living spaces that feature architectural styles from contemporary to traditional. For more information, or to reserve a Klaus Series system, visit www.iqair.com/klaus. 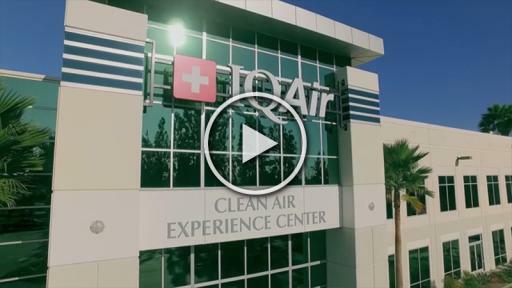 IQAir North America, Inc. is a member of the Swiss-based IQAir Group that develops innovative air quality solutions for homes, offices, schools, hospitals and other critical environments. Over the past 50 years, the IQAir Group has helped millions of people around the world enhance their lives with clean air. IQAir is the American Lung Association’s exclusive educational partner for the air purifier industry.